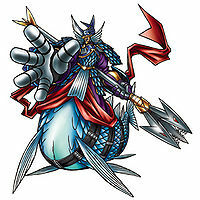 One of the Olympos XII, it is a Digimon god of the sea which governs all Aquatic Digimon. 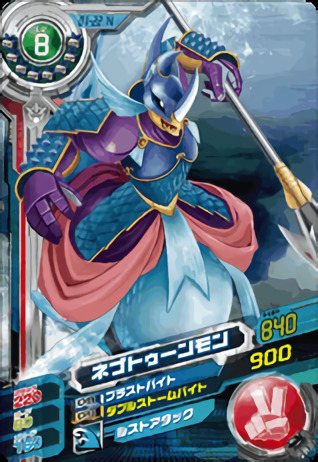 The Scalemail which covers Neptunemon's body is made of "Chrome Digizoid" converted into the "Blue Digizoid" which excels in agility, so it is capable of moving at terrifying speeds in the sea. It constructed a castle to reside within, the "Abyss Sanctuary", at the far depths of the sea, so that only those who can withstand the water pressure of the extreme depths can intrude upon it. 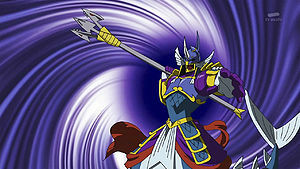 Its Special Moves are firing off its sentient spear "King's Bite" (Vortex Penetrate), and a gigantic tidal wave which swallows everything (Wave of Depth). One of the Olympos XII, it is a Digimon god of the sea which governs all Aquatic Digimon. 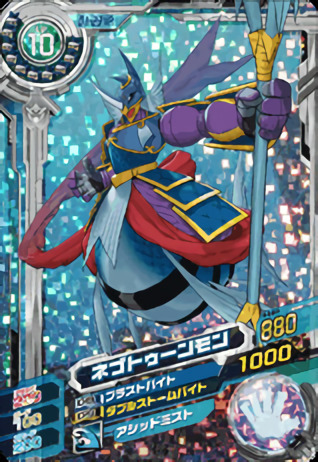 The Scale-mail which covers Neptunemon's body is made of "Blue Digizoid", a treated version of "Chrome Digizoid" which excels in agility, so it is capable of moving at terrifying speeds underwater. 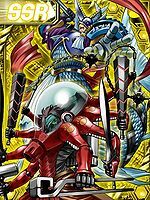 It constructed a castle to reside within, the "Abyss Sanctuary", at the far depths of the sea, so that only those who can withstand the water pressure of the extreme depths can intrude upon it. 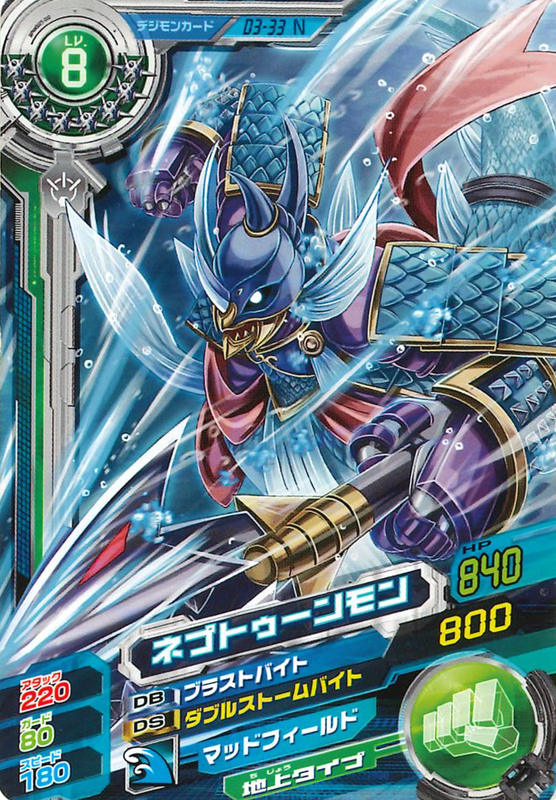 An anglicization of Neptūnus (「ネプトゥーヌス Neputūnusu」, the god of water and the sea and a brother of Jupiter and Pluto in Roman mythology, personified as Poseidon in Greek mythology. 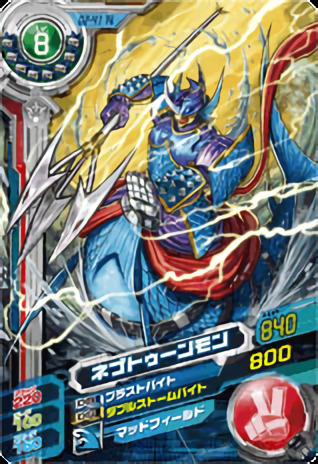 Vortex Penetrate  ボルテックスペネトレート Borutekkusu Penetorēto Vortex Infiltrate/Vortex P/Vortex Penetration Pierces a foe with the spear King's Bite, which can pursue targets with a mind of its own. 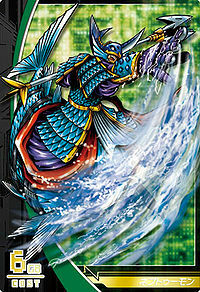 Wave of Depth  ウェーブオブデプス Wēbu obu Depusu Waves of Depths/Wave of Depth Creates a huge tsunami that engulfs everything. 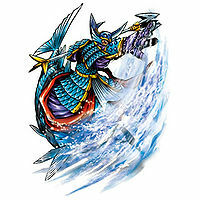 Attacks the enemy with a huge pillar of water. Bites a foe with King's Bite. 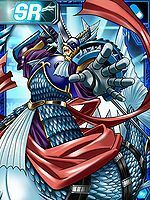 Neptunemon is a member of the Bagra Army. 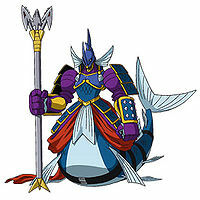 Evolves from Dagomon if level 62, Spirit 340, and Aquan exp 44,000. 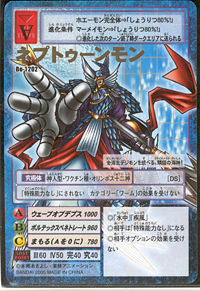 Can be jogressed from Shawujinmon and Hangyomon if above level 58, Aquan exp 41,000, and spirit 390. 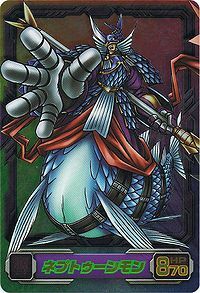 Neptunemon can only be obtained as a collectible card. 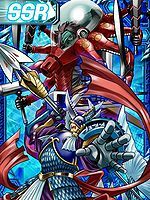 Neptunemon is available as a Digimon Medal. 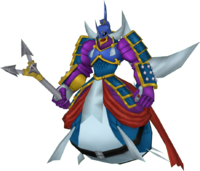 Neptunemon is an unobtainable Boss Digimon. 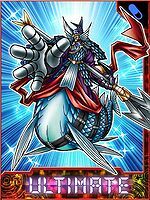 This scale-mailed sea god rules over all oceanic digimon! 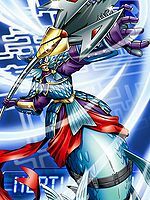 It carried out ruthless, underhanded tactics in order to steal the Code Crowns and Digimemories from Taiki. 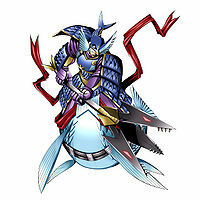 A fearsome Digimon that battles by using its King's Bite, a spear that continues to chase the opponent until it pierces it. 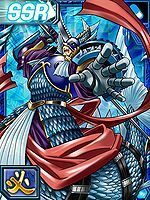 A violent Digimon that serves Tactimon. 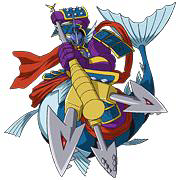 It controlled a group of Seadramon to attack Team Xros Heart. 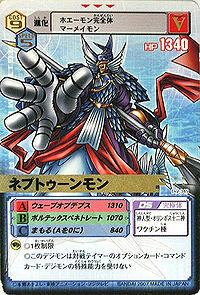 Using underhanded means, it tried to obtain the Code Crown of the Kamemon's Island Zone, but failed. 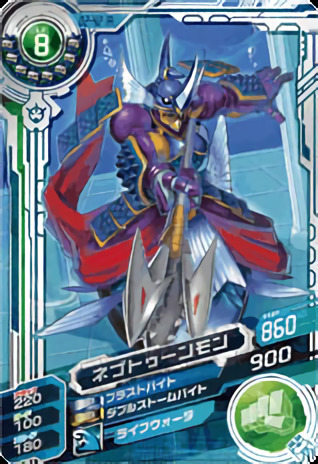 A member of the Bagra Army who has its eyes set on Island Zone's Code Crown. Its travels at a terrifying speed while underwater. 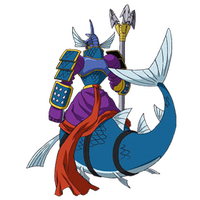 A god of the sea that resides in the Abyss Sanctuary, built in the far depths of the ocean, and rules over all aquatic Digimon. 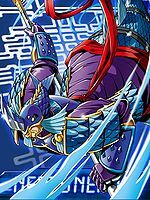 Its body is clad in scalemail made of Blue Digizoid, which excels in mobility and speed. 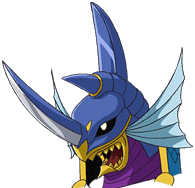 Neptunemon is an enemy Digimon in the Tactimon challenge. This page was last modified on 13 April 2019, at 08:51.